Fruit Salad – Beat the Heat with this summer favorite!!! 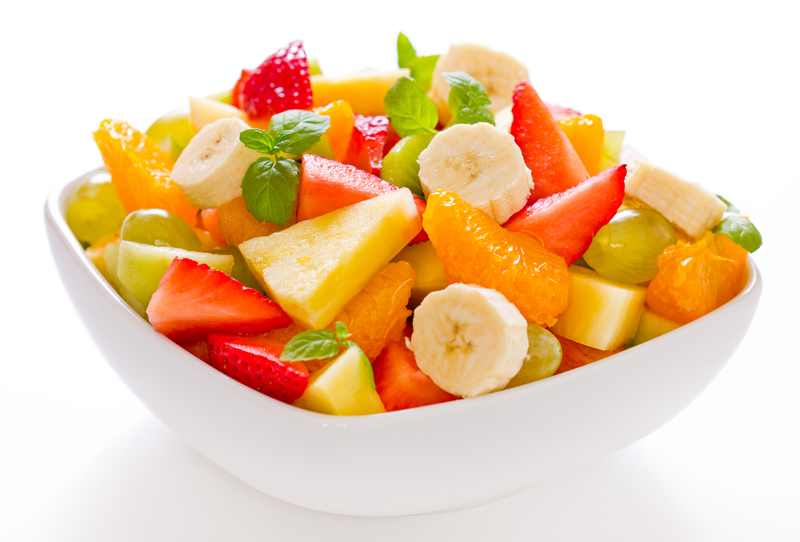 Layer the fruit in a large, clear glass bowl in this order: pineapple, strawberries, kiwi fruit, bananas, oranges, grapes, and blueberries. Pour lemon juice over the fruit and stir.